Small business owners often find it difficult to choose popular promotional gifts that match their modest budget. Businesses around the world try to outsmart each other with popular advertisements or unique promotions. If you are not making much headway in choosing the most popular handout, look no further than popular handouts like custom umbrellas. Incredibly functional, umbrellas will make useful handouts that not many people can resist. 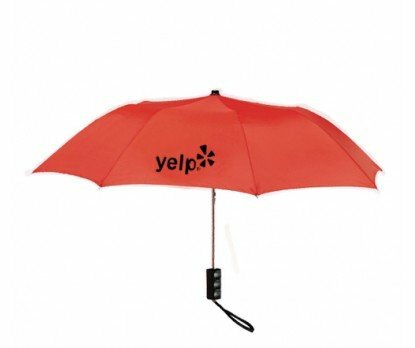 It is interesting that even in this robotic age, custom umbrellas continue to be popular business gifts to promote deals, spread word or make the clients happy and well appreciated. 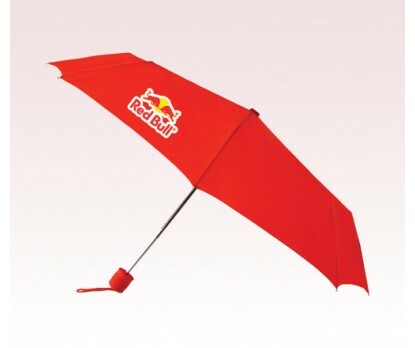 The plus point of custom umbrellas is that these logo items can be used to reach out to every genre of audience irrespective of age factor or demographics. 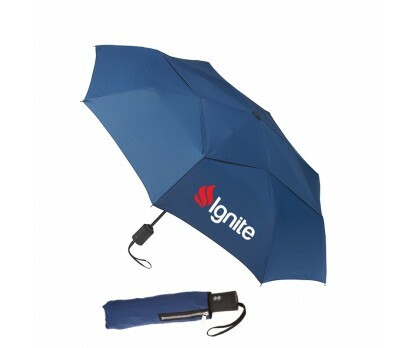 Promotional umbrellas will work for your brand 24 x 7 because everyone needs these weather wear items to stay safe from sun and rain. Most people find umbrellas cool style accessories and even props. Your brand and message imprinted on these affordable promotional items will get a lot of attention. 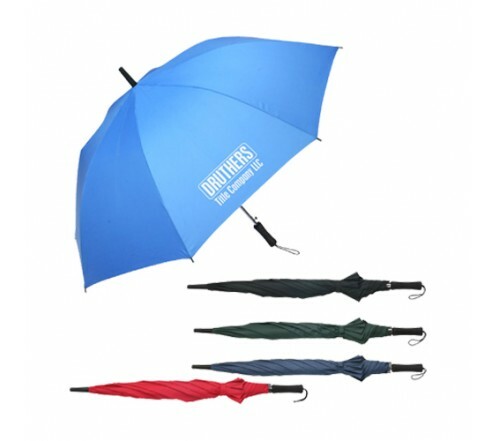 If you want to reach out to a larger audience without spending a lot of money, umbrellas will make great gifts. Affordable than most conventional advertising options like TV or newspaper, umbrellas will make a perfect option for marketing your business at low cost. 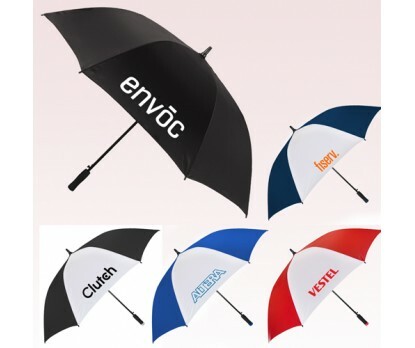 Here are a couple of popular umbrella models that will put wind into the sails of brand promotions. If you want to put your logo and message on a wide angle display without missing out on anything, look no further than golf umbrellas. The massive canopy of these umbrellas will make a great canvas for you to place your brand and message in style. Offered in a range of colors and panel designs, golf umbrellas will make your message seen many times over. Be it at the beach, camping grounds or corporate golf weekends, these massive umbrellas will grab the attention of everyone around. Anything imprinted on these massive canopies will never get overlooked. 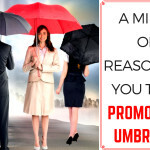 If you want to literally make the world stop by and take a second look at your message, then not many promotional gifts can match the tremendous power of golf umbrellas. Small and compact, mini umbrellas have always been absolute crowd pleasers. The small size makes it easier to carry these around for the recipients, which means that your message will enjoy a free piggy ride on these umbrellas wherever they go. 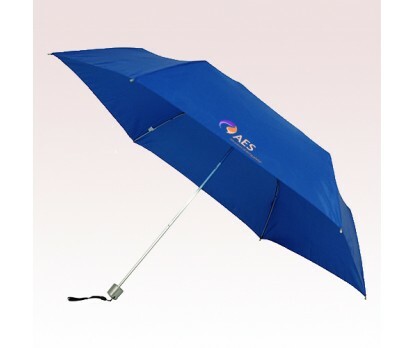 Some umbrellas also come with a protective case that can be imprinted with your message. Need more? 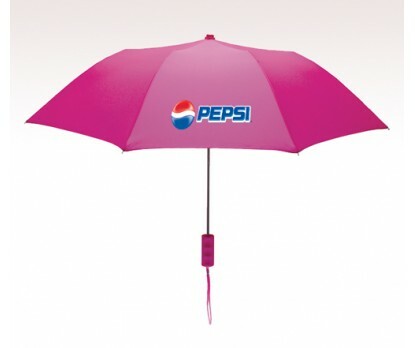 Browse our exclusive collection of custom umbrellas and choose a model that matches your budget and promotional theme.